Jody Conant is a speech-language pathologist in Grand Rapids, MI. Practice Type: • Outpatient Rehabilitation Center Practice Areas: • Speech Language Pathology • Laryngectomy • Swallowing disorders Take the next step and contact Jody Conant for a consultation in Grand Rapids, MI or to get more information. Mia Kimmons is a speech-language pathologist in Grand Rapids, MI. Practice Type: • College University Practice Areas: • Speech Language Pathology • Speech-Language Research Take the next step and contact Mia Kimmons for a consultation in Grand Rapids, MI or to get more information. Christine VanderStel is a speech-language pathologist in Grand Rapids, MI. 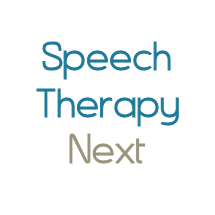 Practice Type: • School Practice Areas: • Speech Language Pathology • Speech Therapy Take the next step and contact Christine VanderStel for a consultation in Grand Rapids, MI or to get more information. MarcieAnn Edwards is a speech-language pathologist in Grand Haven, MI. Practice Type: • School Practice Areas: • Speech Language Pathology • Speech Therapy Take the next step and contact MarcieAnn Edwards for a consultation in Grand Haven, MI or to get more information.